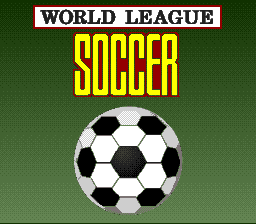 This is the Japanese version of World League Soccer. 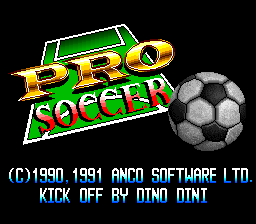 The original Amiga version of Pro Soccer (Kick Off 2) was at the time the greatest soccer game ever made. Unfortunately this conversion has been badly done. While the graphics are of a fair standard it's the jerky scrolling that helps kill of what little playability there is. Even the 2 player mode is a bit of a wash out as the game relies on luck rather than skill. Pull out the old Amiga version instead, it's WAY better!